Impeccable Officer's Row Condo In a Quiet Interior Setting. Gleaming Hardwood Floors with the Open Loft Feel! The South Facing Large Patio Off The Master Bedroom is Spectacular, Bright and Sunny! Large Open Floor Plan Throughout From the Living Room To The Bedroom. Kitchen Island With Granite Counter top Is Perfect For Bar Stool Seating. Warming Gas Fireplace Enhance The Feel Of the Living Room. The Kitchen Has Warm Cherry Cabinets, The 5-Piece Bath With Soaking Tub and Storage With Matching Cherry Cabinets. The Spacious Carpeted Bedroom Has a Walk-In Closet and Opens To a Private Patio. Washer and Dryer Included. Utility and Storage Area offers Easy Access To Underground Parking Garage and Additional Storage Under the Stairs, Two Private Parking Spaces Come With This Home, Just Steps to Lowry Town Center and All It Has to Offer, Restaurants, Shopping, Banking And Much More. A Wonderful Community! 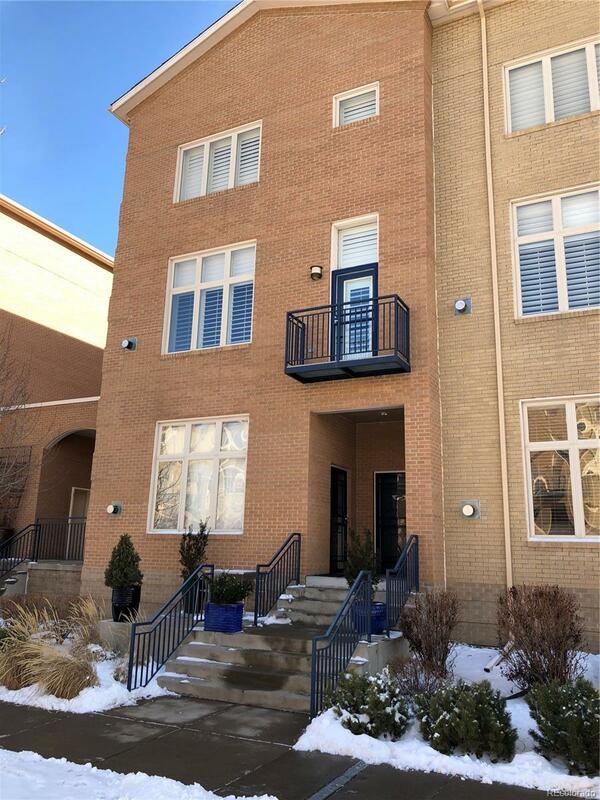 Easy access to Downtown, Cherry Creek, Stapleton, Parks and Trails. Offered by Kelly E. Vogelsberg.